fine people, etching with mixed media, 15″ x 22″. “I think there is blame on both sides…You also had people that were very fine people on both sides….Not all of those people were neo-Nazis” – 45th. 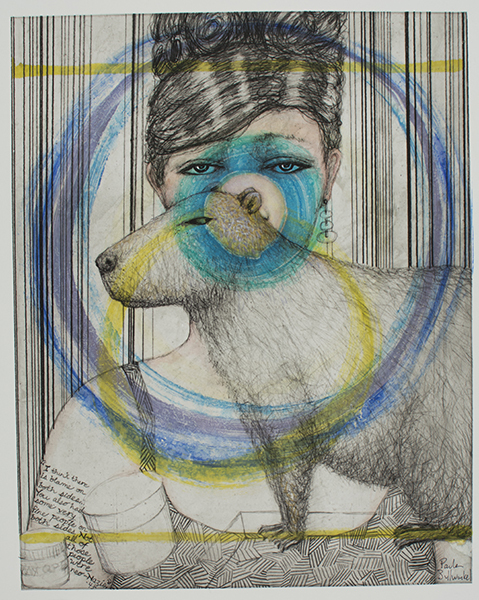 One of a six part series of paintings and etchings featuring rodents, quotes by “45”, and references to 1960’s-1980’s vintage beauty ads.